Your garage door is the most-used exterior door to your home. In addition, garage door openers are the top way for operating the door and entering and exiting the home. The opener makes access to your home safe, well lit, and convenient. The specialists at Precision Garage Door of Spokane gladly provide installation and repairs of garage door openers as well as trusted name-brand products. Learn more below about our efficient openers. Are you interested in saving energy? Precision Garage Door of Spokane can help you be more environmentally friendly every day without even thinking about it. Every time you use your eco-friendly garage door opener, you are conserving energy. Our advanced door opener is highly efficient and reliable. Its stand-by mode allows it to conserve energy while still being operationally efficient. You can also program a light timer to light the garage when you need it but not waste energy when you do not need the light on. 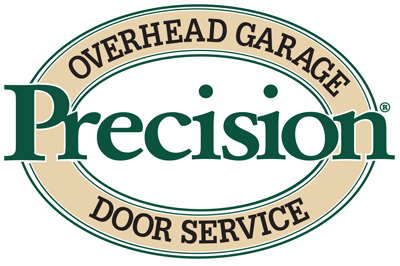 To learn more about which type of garage door opener is right for you, call the professionals at Precision Door. Our team will ensure you receive the best value for your needs. You receive several advantages by working with the professionals at Precision Garage Door of Spokane. We offer professional installation and repairs on residential garage door systems and openers. Our openers are extremely safe and they last longer because we install them correctly the first time. We have years of experience, and we only employ certified and trained technicians, not subcontractors. We stand behind all our work with our lifetime warranty, so contact us today for reliable service for your garage door opener.